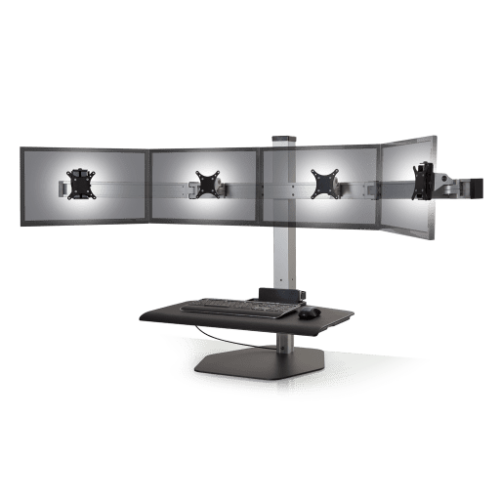 Adjust the height of your sit-stand workstation with just the push of a button. Features 17″ of height adjust to accommodate a variety of users. 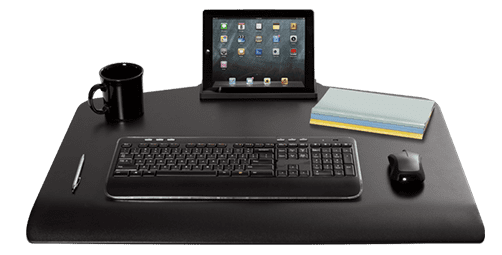 Large surface feels more like a real desk when standing and allows you to take all of your necessary items with you when you stand.  The industry’s first locking cylinder keeps your workspace in place eliminating wobble while you work. Ease body pain and boost health by increasing your movement at work. 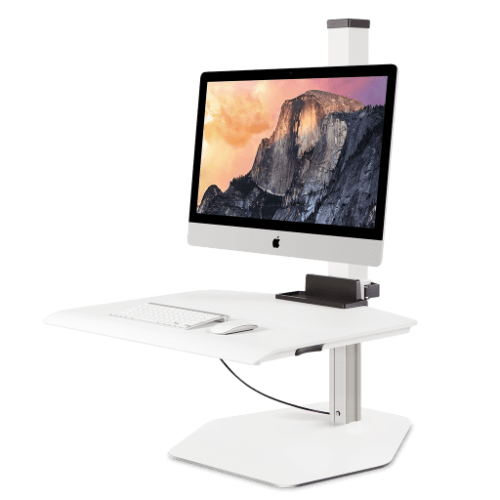 Winston gives you the freedom to easily alternate between sitting and standing throughout the day. Winston can support one, two, three or four monitors. 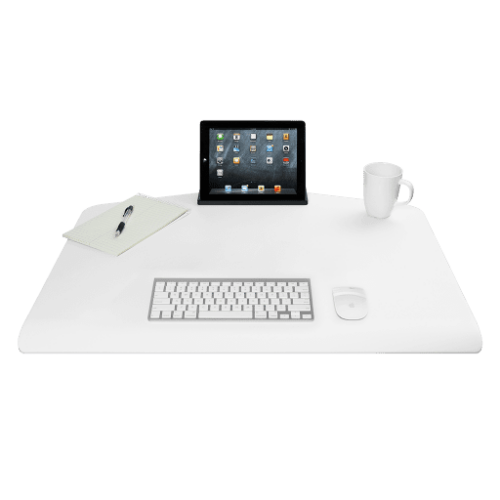 Compact work surface (17” depth) or standard work surface available (23” depth). Pick your favorite from white, silver or black. 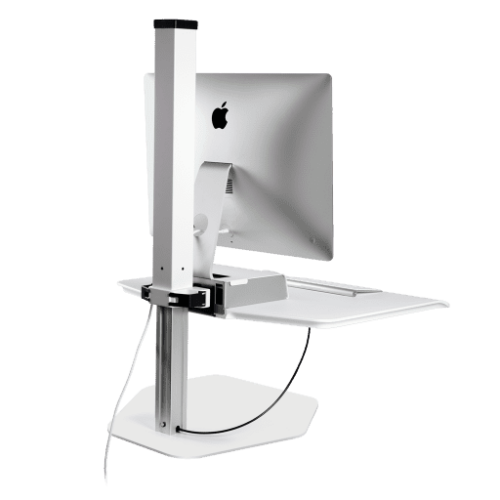 Optional accessories include: Clamp Mount, Thru-Desk Mount, Laptop Holder, iMac Stand and an Anti-Fatigue Mat. 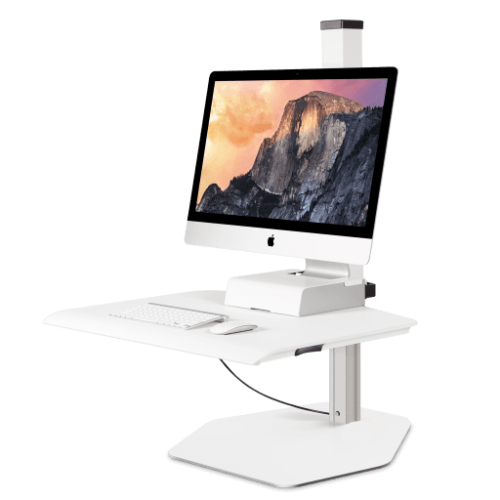 Watch how you can instantly boost health and productivity by converting any desk into a sit-stand workplace. 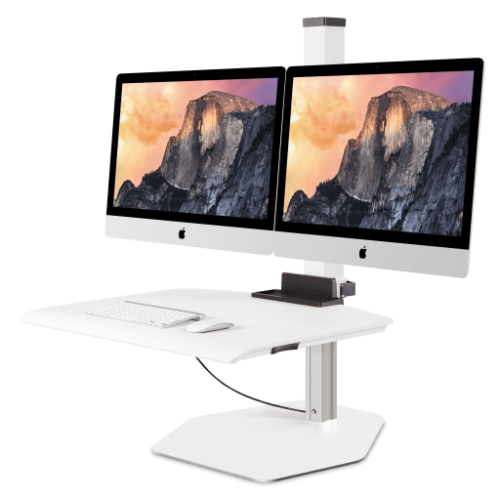 There’s a lot of choices out there when it comes to sit-stand workstations. 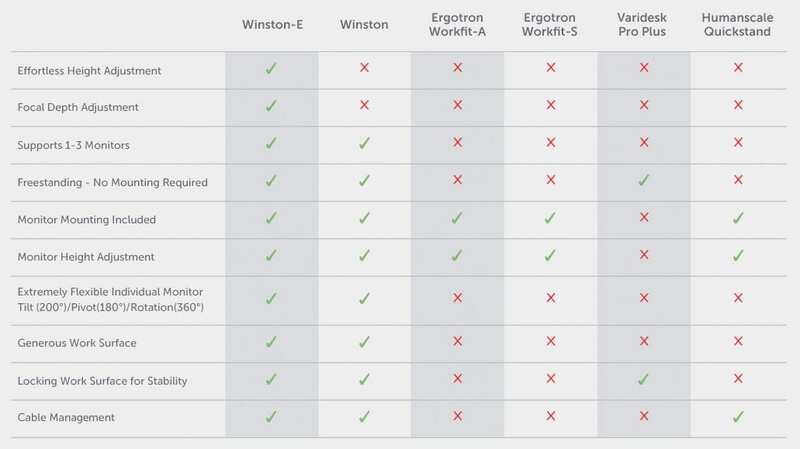 Find out why Winston excels versus other popular desktop conversion and retrofit solutions.